Home // Biblical Principles // Can Transformation Really Happen? Maybe you have asked the question: can my life be different? Can it be better? Of course, there are some things we cannot change. We can’t turn back the clock. We can’t change where we were born. We don’t get to change who our parents were or what our DNA is. 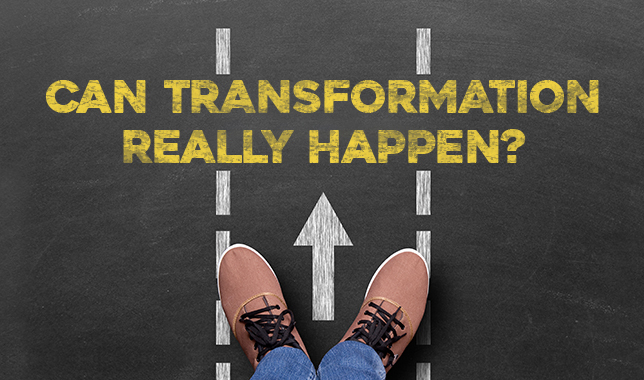 But, the truth is that real transformation can occur, personally and spiritually, that will impact every dimension of our lives in a positive way. So the follow up question then is: how? How does significant, lasting life-transformation occur? Scripture gives us a clue. Consider, for instance, what the Apostle Paul wrote in Romans 12: 2. He said, “Do not be conformed to this world, but be transformed by the renewal of your mind” (ESV). And how do we “renew our minds”? Largely by what we read or hear, think about, and meditate on. So, if your heart yearns for genuine change. If your longing is for genuine, inside-out transformation of your heart, your spirit, your attitudes, and your relationships. Then, why not begin to engage with God every day through his word? To help you do that I want to invite you to join me in reading “A Chapter a Day” of the Bible. This pace is doable – just one chapter a day. And, I will provide every morning a brief email comment to help you get the big idea, understand, and apply what you read. So, if you haven’t done so already, sign up for “A Chapter a Day” now by clicking here. I’m confident that if you will join in this journey of engagement with God through his word, real transformation will occur – for your good and God’s glory!